Toby Horner, a 29-year-old HR Specialist and graduate from Bournemouth University talks about coming out at work. After studying a communications degree and working as the President of the university Students' Union Toby found his way to London where he now works in graduate recruitment for the elite global law firm Clifford Chance. Outside of work Toby combines his interest in diversity with his love for sport through playing for the gay and inclusive rugby team the King's Cross Steelers. I've been out nearly the whole time that I’ve been at Clifford Chance, which is coming up to three years now. Within the first month, it became very clear to me that it was going to be completely OK to be myself. My colleagues embraced it without hesitation and the LGBT+ network got in touch straight away to reassure me that I had a place. It was really very easy to take that step at work. I went to the new joiners drinks with the LGBT+ network Arcus (Latin for Rainbow) where I was able to meet both lawyers and other members from professional services. It was great to see many visible allies there in support too, some of which were from my team. I couldn’t imagine what it would be like to hide this aspect of myself so I believe it is really important to come out at work, although I recognise my situation might be more comfortable and open than others. A lot of the conversations that happen within my team and within the wider firm show a genuine care for each other's friends, family and social lives with it being a very people focused environment, so that would make it very uncomfortable if I wasn’t encouraged to be myself. Have you ever had an especially good/bad experience because of your sexual orientation at work? There was one moment I remember and still hold dear to me as one of my particular career highlights. I’m very lucky to work in our recruitment team and therefore I meet a lot of students at that very early stage between university and starting their career. We annually organise LGBT+ events for students and during one event in particular an openly trans student approached me to say that that this had been the first corporate networking event that they had been to where they felt entirely comfortable being themselves. 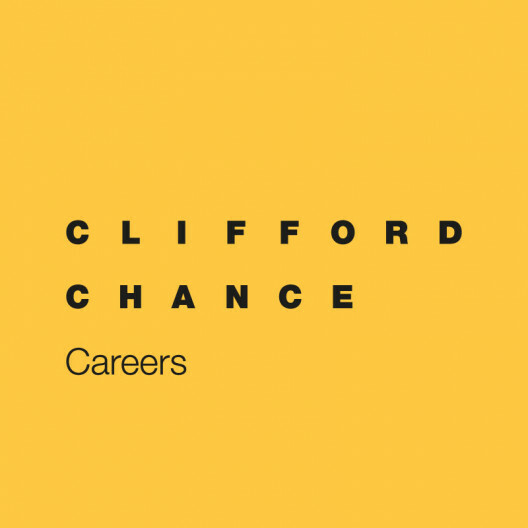 As a result, Clifford Chance was the firm that they particularly wanted to apply to. I remember myself what it was like at university when you begin to doubt yourself and question whether your sexuality will hold you back professionally, and I like being able to reassure people that there are employers out there that will welcome them. How does Clifford Chance attract and welcome LGBT+ candidates? It starts from very early on. From the moment you first get in touch regarding graduate opportunities, to receiving information about Arcus in your offer pack, plus multiple engagement events in between. Also, every six months, which coincides with the new batch of trainees joining the firm, we have a new joiner event for both fee earners and professional services where usually somebody senior addresses the group. We have a clear inclusion and diversity section on the website, which includes all the information about what we do to foster an inclusive culture. This includes key pro bono activity that we are leading on to support the LGBT+ community more widely, such as the UK non-gender passport case which aims to see those who do not identify as a specific gender have the option to have an 'x' on their passport instead. Particularly from a graduate recruitment side, there’s so much that we do. Sponsoring events like National Student Pride, organising our own events and partnering with other networks and external organisations. We do all of this because ultimately, our desire is to be the LGBT+ employer of choice in the legal sector. Does your employer share good practices with its clients in terms of LGBT+ inclusion? Every year we release our responsible business report which is shared with our clients and is published on our website. Besides that, we’re always looking at ways to work with our clients’ LGBT+ networks. For example, on October 10thwe organised an event together with Deutsche Bank and Opening Doors London, a charity providing information and support services specifically for older Lesbian, Gay, Bisexual and Trans (LGBT+) people in the UK. For Transgender Awareness Week in November we're also hosting a multi-company panel event exploring the experiences of transgender individuals and how colleagues and companies can provide effective support. Our clients are always very interested in what we’re doing in this space and it's really positive that we can include our Stonewall Workplace Equality rating of 11thin our new business pitches too. How does your organisation empower its LGBT+ employees? We’re very lucky because we have several senior champions within the firm who are very visible. In particular Narind Singh, a Partner in our Corporate practice has been instrumental in supporting Arcus and other initiatives such as launching our allies network. His efforts were recognised this year when he was awarded the Stonewall Senior Champion of the Year award. We also have very senior allies providing support, including Global Managing Partner Matthew Layton who has featured in the OUTstanding Leading Ally Executives List, presented by the Financial Times. The list recognises leading individuals in business who have made a significant contribution to LGBT+ inclusion. In addition we run separate LGBT+ mentoring and buddying schemes for new joiners, and reverse mentoring for members of the firm's leadership team where they can engage with more junior LGBT+ staff. I have been impressed at how much support there is from members of the senior leadership team at Clifford Chance and it's empowering to know that the work of the network is appreciated by the wider business. How involved are you with Arcus? I am co-chair for the network together with Eraldo d’Atri, a Senior Associate in our Litigation and Dispute Resolution in the firm. How do you think minority groups can support each other to reach greater equality in the workplace? Collaboration is key for us here, particularly in recognising intersectional identities. For example we annually organise an event with our BME network called 'Carnival Comes to Clifford Chance' which is a celebration of the culture, music, dance and food of Notting Hill Carnival. This year we had a guest speaker who discussed the themes of cultural appropriation and how certain identities can conflict, raising key issues for consideration. Do you mentor other LGBT+ professionals? If yes, how is this important? I am involved in the Reverse Mentorship Program, where I am the reverse mentor for the UK Managing Partner of the London office, Michael Bates. This initiative is particularly important as it allows us to be closer to the centre of influence and help our allies understand how they can support LGBT+ colleagues. We're very lucky at Clifford Chance that members of our executive board are open to having a mentor and there is a genuine desire to understand how the firm can better support our diversity networks and encourage greater inclusion within the business. Ever more so employers are looking for candidates to be themselves to ensure a diverse workforce – so it's a great time to be exploring what businesses have to offer. Particularly in law, diversity is hugely important as our clients expect us to represent the diversity that exists in society. Only through having a broad range of perspectives and experience can we provide innovative solutions to our clients' most complex needs, so these are exciting times.